We hired Athens Arborist to prune 1,200 of our residential street trees that were all at different maturities and species. They did a great job, were easy to deal with and were very professional. The owners of the company were onsite performing the work which made us very comfortable that things would be handled correctly. I would not hesitate to recommend or hire them for any tree related service. 70 Year Old Water Oaks Saved!! Athens Arborist worked on two 70-year old water oaks in our front yard. 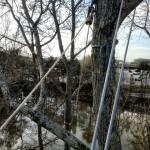 They installed 5 cables; removed two large, damaged limbs; cleared the crown of dead wood; and removed small branches to reduce the weight on smaller limbs. They did an outstanding job, and if we need tree work in the future, Athens Arborist would be at the very top of our list of arborists. They are very professional, and Joseph took considerable time to describe the work they would do and to answer all my questions. The work was performed very carefully, and with the confidence that comes with a real passion for what you do. When the work was completed, they cleaned up after themselves, such that you would not know that any work had been done at all. I was very impressed, and would recommend them unequivocally and with considerable enthusiasm. They get a five-star rating from this customer, and on a scale of one to ten, they are clearly a ten! 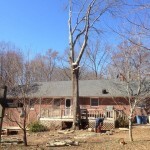 I highly recommend Athens Arborist Tree Care for tree removals. As a natural resource professional myself, I was impressed with Joseph’s knowledge of tree biology and management. As for the service he provided, besides giving us the best price for the work we needed done, Joseph was timely, respectful and professional in all aspects of the contract. I fully intend to use his services in the future. 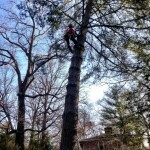 Recently I contracted with Joseph to remove a very large pine tree from my yard that had died. He and his helper showed up exactly when he said they would and promptly got to work. I was impressed at how quickly and methodically they downed the tree, cut it up and removed it and all the remnants. I might add, too, that Joseph's price was very fair and that the cleanup job was above my expectations. A+ in my book! You never know what to expect the first time you use a new tree service. 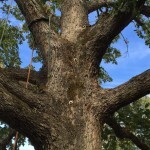 With Athens Arborist you get The Best! You never know what to expect the first time you use a new tree service, so I was hoping for the best. That is exactly what I received, the best! Joe was very professional, I liked the fact that he used email to provide me with an estimate and necessary correspondence. His estimate was thorough and fair, and his service was first rate. He arrived when he said he would, worked hard, and cleaned everything up. I appreciated that he cleaned up so well without having to request it. I strongly recommend his service for your tree needs.